Ford has paid the government $17.35 million settle accusations that the automaker knowingly delayed a Ford Escape safety recall by over a year. Ford said on Wednesday that it has paid the National Highway Traffic $17.35 million—which is the maximum fine allowable under law—to settle allegations that the automaker delayed a safety recall, according to the Associated Press. 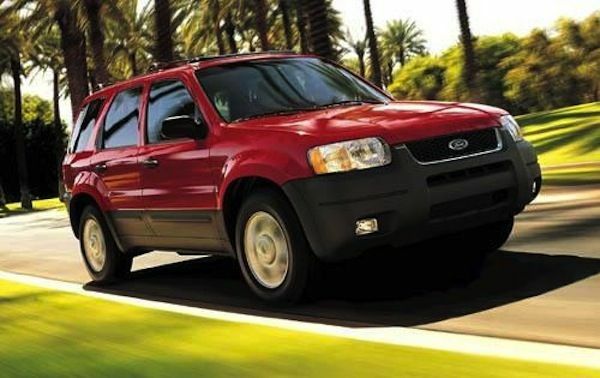 The NHTSA alleges that Ford knew about a safety defect in certain Ford Escape SUVs in May 2011, but didn’t recall the affected vehicles until July 2012. The recall concerned certain 3.0L V6 Escapes that may possess an inadequate clearance between the engine cover and the speed control cable connector, which may lead to a stuck throttle when the accelerator pedal is pressed. A stuck throttle may make it difficult for drivers to stop or slow the vehicle. Not surprisingly, the defect increases the risk of a crash, injury or death, according to the NHTSA. The recall involved about 485,000 Escape vehicles worldwide, including 423,000 in the United States. Ford issued the recall on July 26, 2012—one day after the NHTSA submitted the findings of its seventh-month long investigation into the defect. The government launched the probe after receiving 68 complaints about the problem, including 13 crashes, nine injuries and one death. In January 2012, a teenage girl died in an Escape crash in Arizona. Ford denies breaking any laws, and says it paid the fine to avert a lengthy legal battle with the government. The automaker says it’s confident in how it identifies safety defects and how it responds to them. "Ford is absolutely committed to addressing potential vehicle issues and responding quickly for our customers," Ford said in a press statement. "We take the safety of our customers seriously and continuously evaluate our processes for improvements." Despite paying the fine, Ford is not exempt from future civil or criminal liabilities related to the recall. So just how much does the $17.35 million fine impact Ford financially? According to Ford’s recently released second quarter profits, the automaker can pay the fine with money it earns from just one day of operations. Ford recorded a $2.3 billion profit in North America last quarter, which is the second best quarter in the company’s history. Toyota paid a $17.35 million fine last year after the government accused the automaker of not responding quickly enough to a floor mat pedal entrapment issue in 2010 Lexus RX 350s.